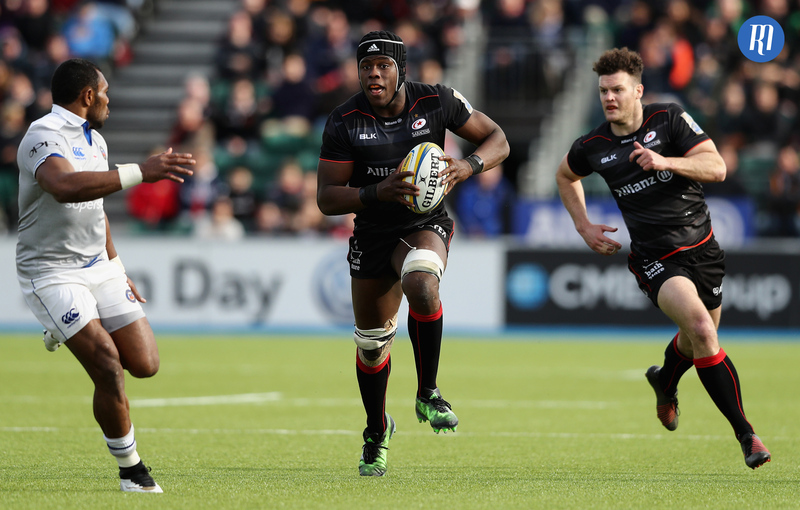 In the final part of Read About Sport’s Premiership Preview series, Josh Bartholomew looks at Saracens’ prospects ahead of the 2018-19. Last Season: Last campaign, Saracens fought past a seven-game losing run to finish 2nd in the Premiership, going on to beat Exeter to take the title. Despite failing to progress past the quarter-final stage of the Champions Cup, Mark McCall would’ve been delighted with Saracens’ return to the top of the Aviva Premiership after a years absence. Strengths: Saracens’ astute game plan is what has powered their dominance in recent years. Their forward pack, when playing well, can match any in the world, while with Owen Farrell and Richard Wigglesworth marshalling the backline it’s very difficult for an opponent to have any kind of control on the game. Furthermore, Saracens’ depth in the second-row is scary: internationals Nick Isiekwe, Maro Itoje, George Kruis and Will Skelton are all consistently excellent. Weaknesses: By Mark McCall’s own admission at the Gallagher Premiership launch last week, Saracens will have to develop their attacking game if they are to start challenging the upper echelons of European rugby again after last year’s continental disappointment. Their recruitment should help them do so, but with Alex Lozowski set to play at 13 this season, one wonders if Saracens’ team selection might benefit being slightly more attack minded. Recruitment Rating: In bringing in Alex Lewington and David Strettle, Saracens have made two clear upgrades in the wing department which should help Mark McCall to develop his side’s attacking game. On the other hand, Schalk Brits and Chris Wyles are solid, dependable servants who were always useful players during international breaks. Saracens should benefit early on from their lack of big transfer business. 8/10. Key Man: When fit, number 8 Billy Vunipola is Saracens’ main ball carrier, as well as working hard in defence. England international Vunipola has struggled with injuries recently, but still has a key role to play for his club, as does Brad Barritt, whose defensive excellence has spearheaded Saracens’ campaign for European dominance in the last decade. Young gun to watch: After signing a contract extension last season, fly-half Max Malins will be looking to earn Premiership game time this season in the international absences of Owen Farrell and Alex Lozowski. Malins can also deputise at 15, which could be useful if he finds himself competing for a spot on the bench. Prediction: Though the recruits they have brought in look useful, Saracens struggled in the November period as their international players recovered from the Autumn series. Without improving their depth, Saracens could feasibly face the same issues, and will rely on young academy prospects to step up. They will be good enough to finish 2nd, but I think Wasps will win a potential final. Ins: Alex Lewington, Tom Woolstencroft (both London Irish), David Strettle (Clermont). Outs: Nathan Earle (Harlequins), Keiran Longbottom (Western Force), Danny Cutmore (Cornish Pirates), Mark Flanagan (Bedford Blues), Mike Ellery (England 7s), Schalk Brits, Chris Wyles, Matt Hankin (all retired).